Other recommendations included (a) the setting up of a organisation with a subscribing membership in each county; (b) the promotion of county championships for track and field, cross country, elementary schools championships, secondary schools championships; (c) to form similar organisations in each county and burgh, rural and urban districts; (d) “believing that prizes of large intrinsic value are prejudicial to true amateurism, the Committee recommends that the limit of value for an individual prize shall be £1”: in this respect I quote from the Clydesdale Harriers Committee Meeting Minute of 24/2/20, “Mr McGregor reported that he had attended a meeting of the SAAA and that the motion to increase the prize limit from £7:7:0 to £10:10:0 had been passed unanimously” (e) a manual for the organisation and management of athletics should be prepared for circulation. This is not the place to discuss these interesting recommendations or to speculate on what would have happened if they had been adopted in their entirety. In addition to the work on the committee and various sub-committees of the SAAA, he helped organise the annual club sports and it is unlikely that he did not have a hand in the many athletics events hosted at Celtic Park. The first sports meeting after the war was on 10th August 1918 and referred to as the Celtic gala. It included ‘a series of spectacular items’ such as the Band of the Royal Scots Fusiliers which provided the novelty of both pipes and brass instruments, the youths of Westthorn School provided a gymnastics display, and the ‘management introduced an element of pageantry into the programme by means of a parade symbolic of the alliance against Germany, as well as the obligatory five-a-side football. As far as what were termed ‘the more particularly athletic events’ were concerned, the race of the day was the invitation furlong in which an Argentinian called Bollini finished second to a Scot called Mcfadden (further details were not published by the Glasgow Herald’) and the Two Miles handicap was a hard battle between from W Ross and G Malcolm, both from Edinburgh with Ross (off 15 yards) winning from his rival who was off 105 yards. “RECORDS AT PARKHEAD. Evidently the officials at the Celtic Football Club expected that new records would be created in the half and one mile at Parkhead on Saturday, as the best times on the books of the Scottish Amateur Athletic Association for these distances were given in the programme. Expectation was fulfilled, Sgt Mason lowering the half-mile time, and AG Hill that of the mile. In one way Hill’s performance was the more meritorious, as the mile was an open event and the English mile champion had a very large field to get through. In the circumstances he did remarkably well, in reducing by 1 2-5th seconds a record that has stood since 1894. The weather was favourable for fast running, and good times were registered throughout the afternoon – that of the open 100 yards for instance being recorded as 10 seconds, the 220 yards at 22 seconds, and the mile at 4 min 17 13 4-5th seconds. The mile was won from 145 yards and it is not surprising that Hill – who of course ran the full distance – failed to finish first. 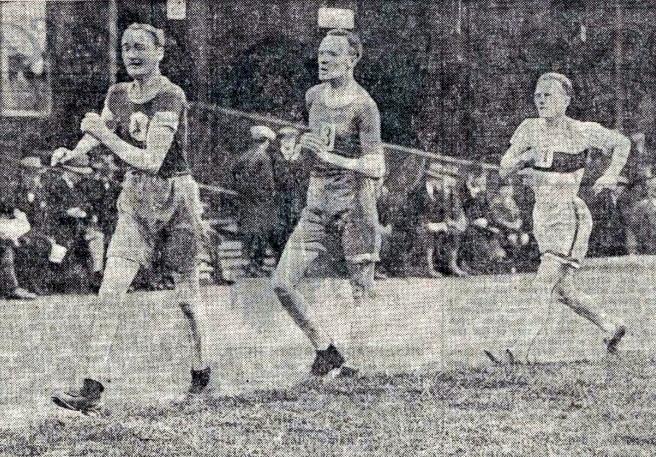 There were about 30,000 spectators and the entries included ‘several well-known English and Colonial runners.’ The relay was won by Poly Harriers in 3 Min 32 4-5th sec, with Maryhill second and a Celtic Select third. The team was Sgt Mason, JB Bell, MC Cook and Sgt Lindsay. The sports of 1920 had a huge entry. For instance “with 22 preliminary heats of the 100 yards, interest began to flag, though it must be confessed that a similar complaint could not be made of the 19 heats of the furlong.” the sheer number of entries in 1920 necessitated semi-finals as well as heats before a final could be run. Despite the prolongation of the meeting this occasioned, there were three invitation events that were of the highest class. One of these was the half-mile in which W Ross of Edinburgh, running from a mark of 12 yards beat the scratch runner GL Morgan of Salford by a yard. There was an invitation 120 yards race from which three of the eight invited withdrew. Gagan of Salford won from AH Goodwin (Maryhill Harriers) – who had already run a heat and semi-final of the open sprint! In the invitation 220, Dumbarton runner A Gordon won by a foot from S Colberry (Maryhill Harriers). Clearly a very successful meeting with an almost entirely domestic entry. The fact that it was almost the final event of the season and the fact that t was coming one week after the Rangers Sports in no way affected the enthusiasm of the paying Glasgow public. The venue itself was popular, with meetings organised by many clubs – Maryhill Harriers, Shettleston Harriers, Clydesdale Harriers and especially St Peter’s AAC holding good meetings at Parkhead. The SAAA Championships, the first after the War, were held there in June 1919 with the 10 miles championship also held at Celtic Park in April that year. The championship would be held there again in 1921 and 1923 while the 10 miles would be held there again in 1920, ’21 and ’22 (and fairly frequently thereafter). There was still a preference for Hampden and Ibrox was also very popular but Celtic Park was a recognised championship venue. The report on the meeting went on as follows: “AG Hill it is true was only second in the Mile handicap, but the race was run in fast time for this part of the country and Hill had practically no pacing. Had McPhee, Hatton and Ross run, the result might have been different. The Scottish champion was at 20 yards, Hatton at 30 yards and Ross at 35 yards, whereas Hill’s nearest actual opponent was at 45 yards. In the circumstances Hill did well to beat all but one. He did not start in the half-mile, in which MJ McEachern, the quarter-mile champion of Ireland, secured a comfortable win in a very fast time. The English champion, HFV Edward was seen to advantage in the quarter-mile invitation in which he was able to give the Scottish champion four yards and to finish a yard to the good. Over one of his own distances, the 100 yards, however, he was unable to concede a yard to EH Liddell, the Scottish champion. Liddell, a runner of good performance and even greater promise, gained a narrow victory, and emphasised his quality by winning the open furlong from scratch. The invitation event winners were Eric Liddell in the 100 yards in 10 1-5th seconds; HVF Edwards in the 440 yards in 50 3-5th seconds, the half-mile by J McEachern (Clonliffe Harriers) from D McPhee in 1 min 56 4-5th sec, and J McIntyre (Dumbarton – 60 yards) in 4 min 23 sec from AG Hill (scratch). And as a matter of interest, Rangers beat Celtic 5 – 1 in the five-a-sides. 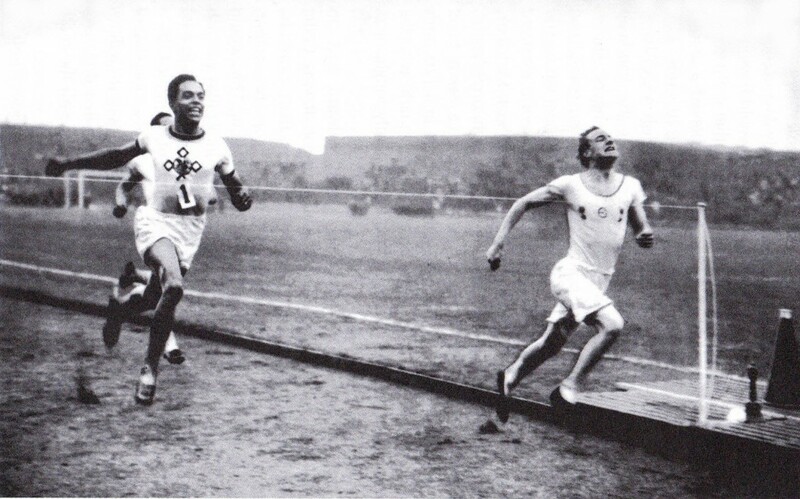 Eric Liddell winning the 120 yards at Parkhead in 12.2 in 1922. It was a pity that the crowd was a relatively poor 15,000 compared to the 30,000 at the Rangers Sports but the meeting ran to time, the crowd were happy and it had been a successful meeting. The none-too-subtle advice was taken and the event was held again on 8th August 1925. The weather was good and there were 10,000 spectators – there were also no fewer than eight clubs represented in the five-a-sides. So there it is – the Sports returned but with an expanded football element. There were eight races and a high jump – the distance race referred to was over three miles and the winning time was 14:48.6. The Rangers meeting of the previous week had several American athletes among the participants and Scottish records were set in four events – the 1000 yards, the 120 yards hurdles, the high jump and the pole vault – the 1000 yards and high jump being British records as well. There were four invitation events and nine open events of which three were field events and the estimated attendance 30,000. The contrast was marked and two football club sports meetings which had at one time been pretty well comparable, had diverged to a fairly large degree: the one going for bigger names, top quality competition and maximising the athletics, the other pulling back from athletics (the two best competitors in 1923 and 1925 being Irish champions among almost entirely domestic fields) and inflating the football component. It was a trend that would continue to develop. The result of the three miles handicap special was – 1. D McLean (Maryhill Harriers) 145 yards; 2. WH Calderwood (Maryhill Harriers) 125 yards; 3. F Stevenson (Monkland Harriers) 145 yards. Time 14 min 39 45th sec. Second in the Mile Handicap was D McSwein from Greenock Wellpark Harriers off 100 yards – Parkhead seemed to suit him – he had won the event the previous year from 125 yards. 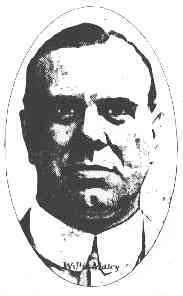 Duncan McSwein went on to be a famous long serving treasurer of the SCCU. The picture above comes from the annual SAAA championship meeting in April where the two long distance events took place – the 10 miles championship and the 7 Miles Walk. It had been held often at Celtic Park and it took place again in 1927. The Celtic Sports did not take place on the second Saturday in August since the football authorities felt that their season should now begin on that date and it is fair to suppose that Celtic were looking for a suitable date. What is sure is that it did not take place on the first Saturday, the following Tuesday or the Tuesday after that. The meeting had decamped to the 2nd July. Their range of alternative dates was circumscribed (a) by all the other regular meetings, and (b) by the lengthening football season – ending later and starting earlier. Queen’s Park FC Sports were on the first week in June, the Glasgow Police on the third week in June, SAAA Championships a week later, Greenock Glenpark were on the last week in July, Rangers on the first week in August and so on. It had to be a move back and the second Saturday in July seemed a good choice but this year it fell on the same day as the English championships. “There was a time in the past when Celtic Football Club’s meetings scintillated with most of the stars that shone in the athletic firmament, but this year the bringing forward of the gathering, due to the encroaching of the football season and its consequent coincidence with the AAA championships compelled the management to rely entirely on home talent. Frankly the absence of the imported element did not affect the afternoon’s sport, so varied and well balanced was the programme. Chief interest centred naturally on the two special handicaps over 880 yards and the two miles, as it was no secret that these had been framed with a view to giving JD Hope and Donald McLean , both national champions, opportunities of placing new national figures on the record books of the SAAA. Neither of them succeeded but the feeling of disappointment, particularly in McLean’s case, was more than counter balanced by the interesting character of both events. In the half-mile, JD Hope ran his best race ever over the distance as far as time goes, as in finishing three yards behind WH Calderwood (Maryhill Harriers) the winner, his time worked out as 1 min 58 1-5th sec. 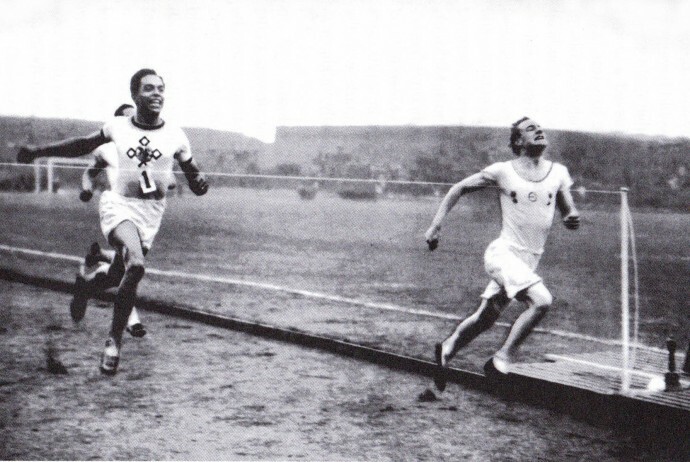 Calderwood, who made such an excellent showing in the half-mile against Griffiths and Houghton at the Tramways meeting on Tuesday evening, ran from 12 yards, and his time was recorded as 1 min 57 4-5th sec, the same as CB Mein’s Scottish record. It is somewhat surprising to find the Maryhill man in this form when it is considered that he made his first public appearance of the season only a week ago. It cannot be said that in the two miles McLean displayed sound judgment. Probably the failure of his pacemaker, and his anxiety to be in touch with the leaders may account for his mile time of 4 min 38 1-5th sec, but it was evident that his exertions in the early stages had left him with no reserve when challenged by F Stevenson and J Suttie Smith 100 yards from the tape, as he eased up when headed and cantered the rest of the way home. From start to finish it was a replica of the four miles championship duel between Stevenson and Smith, and as before Smith’s superior speed in the finishing straight brought him home a good winner. The meeting had seven open races and four special invitation events with one field event and two cycle races included in the programme. The five-a-side was won by Rangers 3-2 over a Celtic side which included McMenemy and McGrory. Problems arose on the new date almost immediately – the triangular international with England and Ireland which had previously been held on the last Saturday in June moved to the second Saturday in July in 1929, and was still there in 1930. The reason is understandable. It was the week after the SAAA Championships. To compete in two such high profile events in successive weeks was not ideal and they were moved. This left Celtic with another headache. Almost every Saturday in June and July was taken up with one event or another, some of the major events are listed above but other football clubs such as Partick Thistle and Falkirk had their own dates, and there were meetings all over the country from Golspie to Lockerbi via Aberfeldy, Beith and Catrine. In 1930 the club was back at the first Tuesday in August, the 5th to be exact. The report, in its entirety, read: “KEEN TUSSLES AT CELTIC SPORTS. The sports meeting under the auspices of Celtic Football Club were held at Celtic Park last night in fine weather and before 5000 spectators. The sport throughout was interesting. In the two miles team race, the struggle between Donald McLean and WH Calderwood for victory was the chief feature. McLean jumped into the lead at the bell and, running strongly, defeated his team mate by five yards.” A good meeting with the report apparently written on the back of an envelope. There were also cycle races and, naturally, a five-a-side competition. McLean’s winning time was 4:46.8 and Celtic beat Partick Thistle 4 – 3 in the football. Despite the success of the 1930 meeting there was apparently no follow up meeting in 1931 – at least not on the three dates previously used by the club – second Saturday in July, second Saturday in August or second Tuesday in August. In 1932, the triangular international was again on the second Saturday in July and the Tuesday in August which had previously been the club’s alternative date of choice saw most of the regular athletes (Bobby Graham, Walter Calderwood, etc) in action at the Springburn Harriers meeting at Helenvale. At Celtic Park, Celtic FC had their final trial before the opening of the football season the following Saturday. The sports of 1933 were unable to go ahead on the first Tuesday in August because the Glasgow Transport Sports were taking place at Helenvale that night – nor were they to be found on the following Tuesday or on any of the ‘vacant’ Saturdays in the year.. In 1934 the sports were held on Tuesday, 7th August and although the event was covered there was no report on the athletics – the entire report was devoted to the fact that a Celtic player called Crum (we were never told his Christian name by the ‘Glasgow Herald’) had his leg broken when he fell in a tackle by a Clyde player called McPhail during the first five-a-side match. Five paragraphs were devoted to the event. There were six races, two cycle races and a five-a-side tournament. The races were all domestic affairs with not a single big name or champion among them. Just when you thought the event was on its last legs, an excellent meeting came up on Tuesday 6th August 1935. The headline read: “NEW SCOTTISH RECORD AT CELTIC SPORTS: R GRAHAM’S SUCCESS OVER THREE-QUARTER MILE. The annual sports meeting of Celtic FC was held last night at Celtic Park, Glasgow, in fine weather conditions and before a moderate attendance. Some excellent sport was witnessed, and in the special invitation race over the three-quarter mile, R Graham set up a new Scottish record of 3 min 4 6-10th sec, this time being 1 6-10th sec faster than that set up by Tom Riddell at the Queen’s Park Sports three years ago. Graham ran from the scratch mark, instead of the 10 yards as originally intended in the handicap and he was accompanied by J Gifford and JP Laidlaw to both of whom he conceded 10 yards. He covered his first lap in 61 seconds, but took 63 4-10th for the second. In his final 300 yards however, he put in a great finish catching the leaders at the last bend went on to win by six yards from W Gunn. “ There were six races, three cycle events and a five-a-side. The fields were entirely domestic and almost exclusively from the West of Scotland. It would seem that the great sports meetings held by the club for several decades had come to a stuttering halt. They were thrown in chaos when first of all the SFA decided to start their League programme on the second Saturday in August making the event impossible, and then by the SAAA/AAA/NIAAA altering the date of the international to the new Celtic date in July. It might be instructive to look back at the Celtic Sports as they were at the start of the century on a fresh page.